Japanese American documentary filmmaker Matthew Hashiguchi has embarked on a new project that follows the Japanese American community since WWII. The project is titled “Good Luck Soup Interactive” and is an interactive documentary and participatory storytelling project that will reveal what’s happened to the Japanese American Internment Camp victims since the camps closed nearly 70 years ago. The stories will be told through uploaded text, photographs and videos from internment camp victims and their families and will be shared through an interactive website. Eva Hashiguchi, a survivor of the World War II Japanese American internment camps and a vibrant 88-year-old Grandmother, has overcome many obstacles in life. Having great influence as the family matriarch, the documentary Good Luck Soup reveals how Eva’s bi-racial family preserves her strength and cultural legacy through the celebration of her Japanese American heritage, life and identity. Told from the point of view of Eva’s third Grandson, Matthew Hashiguchi, the film will follow him as he joins his Grandmother in observing their family’s Japanese American customs, holidays and traditions. Along the way, Eva’s voiceover narration will guide the viewer through her life experiences and struggles as a Japanese American, mother and grandmother. The revelation of painful memories contrasted with joyful moments of celebration will reveal her proud determination in preserving her heritage by passing down traditions to her children and grandchildren. The film is currently slated for distribution through Third World Newsreel. The team launch a crowdsourced fundraising campaign through Kickstarter on May 1, 2014. The goal is to raise $15,000. The Kickstarter link is: https://www.kickstarter.com/projects/matthewhashiguchi/good-luck-soup-interactive-a-transmedia-documentar. 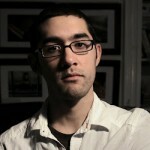 Find out more about the project at www.goodlucksoup.com and about the filmmaker at www.matthewhashiguchi.com. Director and Producer Matthew Hashiguchi is an award winning documentary filmmaker and multimedia journalist whose work focuses on the diverse cultural, social and ethnic stories of American society. After graduating from The Ohio State University in 2007, where he studied photojournalism, Hashiguchi worked and interned as a multimedia journalist for various news outlets such as The Lima News in Lima, Ohio, The Findlay Courier in Findlay, Ohio, and The Washington Post. In May 2011, Hashiguchi graduated from Emerson College with an MFA in Visual & Media Art and has fully transitioned into documentary filmmaking. His most recent documentary, a film on New Orleans titled The Lower 9: A Story of Home, premiered at the 2011 Big Muddy Film Festival. It also received a grant and Second Place Gold Circle Award from The Caucus for Producers, Writer’s and Director’s Foundation, an Honorable Mention for Best Ohio Documentary at the Chagrin Documentary Film Festival, a Best Short Documentary Award from the Spring 2012 Asians on Film Festival and was an official selection for the 2012 Heartland Film Festival and the 2012 Louisville International Festival of Film.